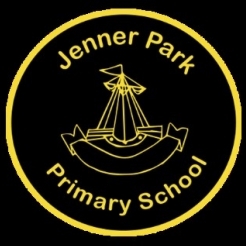 Jenner Park Primary School is situated to the east of the town of Barry. The school provides education for pupils between 3 and 11 years of age. Pupils are taught through the medium of English, and Welsh is taught as a second language. There are currently 250 pupils on roll, with most pupils coming from White British ethnic backgrounds. The school serves a catchment area that is economically disadvantaged and is a designated Communities First Area. Currently over 50% of pupils are entitled to free school meals, which is higher than both local and national averages. The school has two special provision classes, one in Foundation Phase/Key Stage 1 and one in Key Stage 2, for pupils with statements of special educational need (SEN) and multiple and complex needs. 25% of pupils in the school are on the SEN register. Catch Up® Literacy was introduced in Jenner Park as part of an LA initiative in 2002, and we have been using it ever since. We currently have seven fully-accredited deliverers, such is the level of regard and support for the intervention. The school was invited to take part in the national trials for Catch Up® Numeracy in 2007, and subsequently had seven school staff trained in the Catch Up® Numeracy intervention too! All deliverers are fully accredited in both Catch Up® Literacy and Catch Up® Numeracy. Child A – a Year 2 pupil – was initially unable to complete a reading assessment as her reading skills and phonic knowledge were very low. In addition to this, she had speech difficulties which made it tricky for a listener to understand her reading. These issues resulted in Child A appearing to have very little confidence in her own abilities or even to ‘have a go’. At the beginning of the intervention, Child A was very quiet, but always put in 100% effort. In order to develop her confidence, each of her successes was celebrated and announced to her teacher; the style of Catch Up® is a great way to do this. Child A moved through the Catch Up® Literacy levels quite quickly, going from level 1 to level 5 books in just under 8 months, which is a remarkable achievement. She is now reading more confidently, following punctuation better, and her pronunciation has improved. Child A has also become more willing to discuss books she has been reading; the comprehension aspect of Catch Up® Literacy has helped to improve this. Her reading skills have improved greatly and her self-confidence has also grown. Child B – a Year 6 pupil – had a history of ALN. He struggled to concentrate for long periods of time and, as a result, made slow progress across the curriculum, but particularly in Numeracy. Having started the intervention working at Catch Up® Numeracy level 3, Child B also moved onto the phase 2 materials during the year. Welcome to Jenner Park Primary School where "Together We Strive For Success". Our impressive red brick building is over 100 years old, but we hope you will find our educational approach to be the best up-to-date practice for your child. We have a tradition of a happy environment, sound educational standards and a genuine concern for the welfare of our children whatever their race, creed or colour.